This week’s Featured Author on the Goodreads Paranormal, Fantasy, Dystopia and Romance Readers, Writers and Reviewers is Jessica E.Larsen. Jessica E. Larsen is an author of contemporary romance, YA, NA, and Paranormal stories. She’s a hopeless romantic, who will forever be young at heart. She enjoys traveling a lot, drawing inspiration from places she visits and interesting people she encounters. She loves to read and writes in different genres and spends hours arguing with her characters. At times, she likes playing the villain and gives them a taste of hell when they refused to listen to her demands. Jessica loves talking to people about books and other common favorites. Though she might be late at times, she always takes the time to reply to comments and messages. Benjamin Evans destiny doesn’t seem to belong to him. His parents have arranged for him to marry Yuna Vasquez, the daughter of his parents’ new business partners, something which he instantly refused, but when he collides with the beautiful Yuna in a chaotic Marketplace five years later, that’s when his decision about the arrange marriage changed. At first Yuna charmed by Benjamin’s vibrant personality, but when he plants a sudden kiss on her she’s shocked and never wants to see him again! Devil in Disguise is a light-hearted romance novella set in the Philippines about two young people destined to be together. However, even with a spark, the secret must first be revealed to truly make it work. Last week’s Featured Author on the Goodreads Paranormal, Fantasy, Dystopia and Romance Readers, Writers and Reviewers was Linda Andrews. All kidding aside, writing has become a surprising passion. So just how did a scientist start to write paranormal romances? What other option is there when you’re married to romantic man and live in a haunted house? Six months after an Influenza Pandemic swept across the globe, the world is starting to emerge from quarantine. But Pestilence Free Day is short-lived. For an unseen enemy has just been unleashed. Click here for more novels by Linda Andrews. This week’s Featured Author on the Goodreads Paranormal, Fantasy, Dystopia and Romance Readers, Writers and Reviewers is Emma Woods. 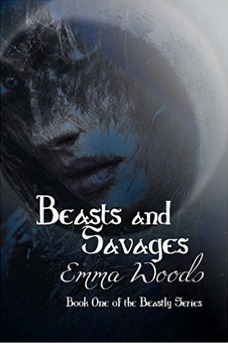 Emma Woods is the author of Beasts and Savages, Book 1 of the Beastly series. Lea Corre was taught to value community, family, and The Hunt. Her blood stems from a long line of proud hunters. When Lea prepares for her own hunt, she questions the brutality and morality of the deadly custom. As Lea uncovers dark secrets and delves into her mother’s broken past, she determines she will make her own fate. Along the way she encounters Tanner, her intended prey. His village decides to take a stand against the tyranny of women. When Lea’s prey becomes her captor, she learns more about their lives, the world, and herself. In the end, Lea must choose between two worlds, in which neither she belongs. 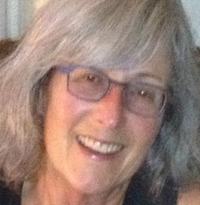 This week’s Featured Author on the Goodreads Paranormal, Fantasy, Dystopia and Romance Readers, Writers and Reviewers is Sue Perry. I’ve had a lot of jobs and several careers – but writing is the only work that has ever mattered. To confirm this, I’ve been a: warehouse clerk, secretary, retail clerk, substitute teacher, bookkeeper, government bureaucrat. Motion picture story analyst, low budget TV producer. Scientific research internship director. Earthquake consultant. Professor. Disaster scientist. In 1992, I published my first novel, the psychological thriller Was It A Rat I Saw, now available as an ebook everywhere. Somehow 20 years elapsed and in 2012 I published the literary fiction Scar Jewelry, which is currently available as an ebook and trade paperback. 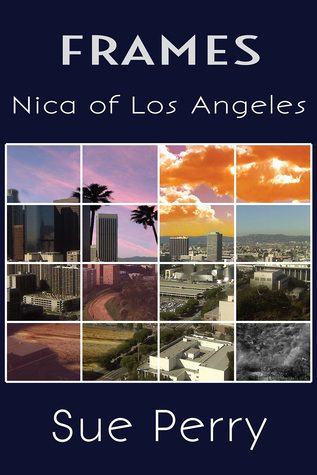 2014 welcomed book 1 in the FRAMES series, Nica of Los Angeles. So I am a seasoned yet new writer, thanks to that 20-year hiatus. One great change while I was away was the rise of social media, and I would love to connect with you – here, on my blog, or on Twitter. I lives in southern California, where I’m the mother of twins and companion to multiple non-humans, currently 5 (not a typo. 5.) cats and 1 dog. I love books, live music, beaches, mountains, nature, and the internet. If I had all the money in the world I would have an abode in each of its great cities. When rookie private eye Nica takes on a mysterious case, she enters a world of multiple dimensions called Frames, where buildings and lawn chairs can be sentient, a stray cat has great powers, books can be killers, and clouds can be spies. At home, Nica tackles missing person cases, while in the larger reality of the Frames she is swept into an escalating battle with stakes that could not be higher. Click here for more novels by Sue Perry.